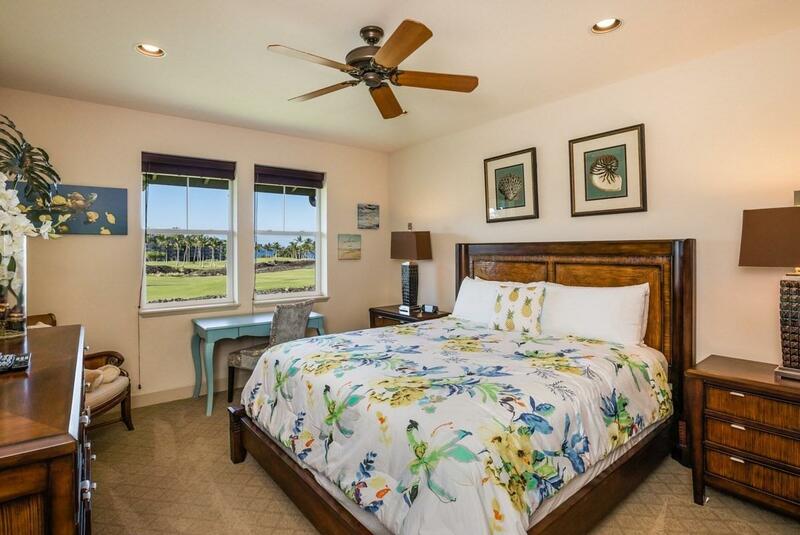 69-1033 Nawahine Pl, Waikoloa, HI 96738 (MLS #622714) :: Aloha Kona Realty, Inc. Enjoy beautiful sunsets from your impeccably furnished luxury Halii Kai almost-oceanfront villa!Enter your well-appointed spacious two bedrooms and two bathrooms villa and step into your inviting gourmet kitchen, dining area, and main living area with closeup superb views of the Mauna Kea mountain, Waikoloa Beach Course' signature hole Hemolele (means perfection) and of course ocean. 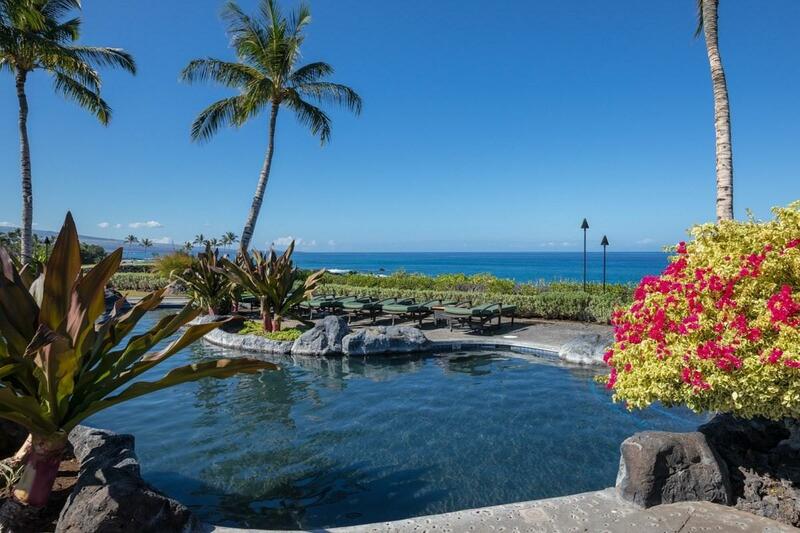 The tiled lanai boasts a BBQ grill for an outdoor dining while enjoying sunrise over Mauna Kea and sunsets over the ocean.Indulge in all that this ocean front community provides! 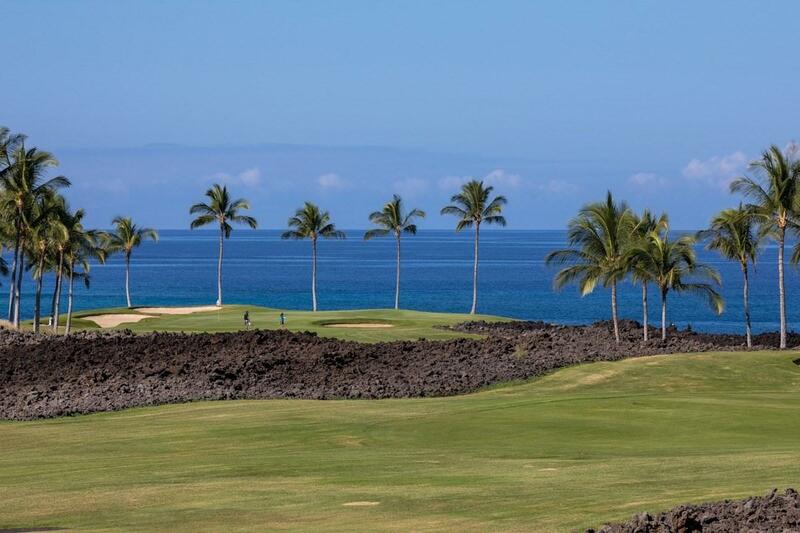 The exclusive Ocean Club where their lagoon-style pool with waterfalls, cool aqua-loungers, spa/hot tub, keiki wading pool, top-of-the-line Exercise Hale, and Ocean Club Bar and Grill is just a short stroll away! 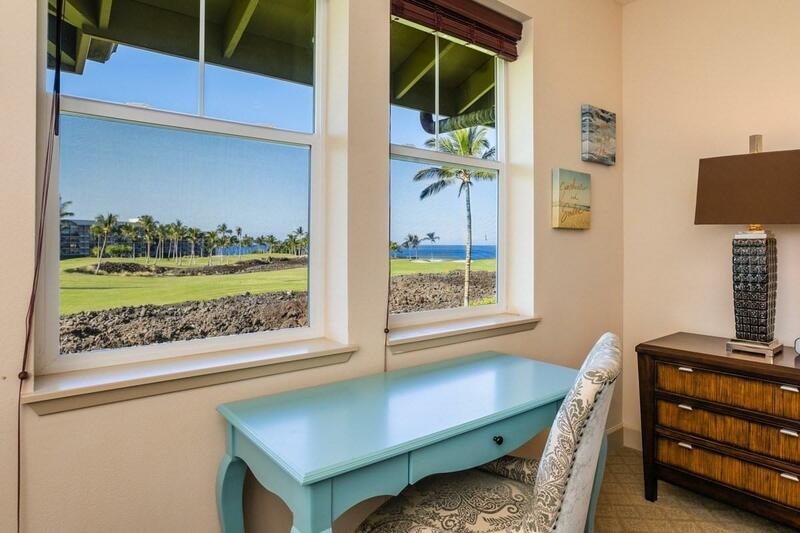 Kings Shops, Queen Shops, Anaeho'omalu Bay, water sports, world class fine dining, golf, luxury cinemas, and shopping are close by that you can walk, bike, or short drive to.This unit is perfect as a primary residence or for use as a vacation rental. Sold furnished.